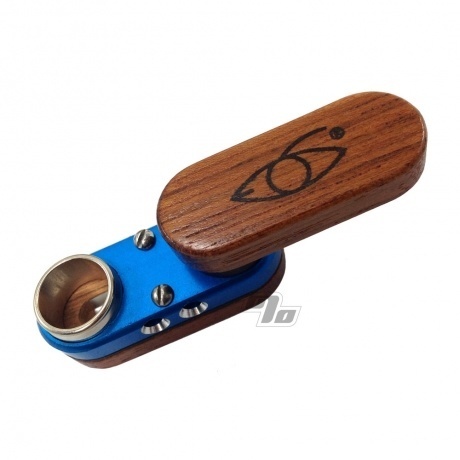 The Monkey Pipe, is an elegant and functional American made pocket pipe. Invented in the 90's, this pipe is well on it's way to classic status. Built to last a lifetime, it's made with stainless steel nuts and screws and with a stainless steel lining in the bottom. Two ventilation ports through the center of anodized aluminum keeps the unit cool. All Monkey Pipes are crafted from the choicest hardwoods available and are custom hand finished. Colors vary on the anodized aluminum heat sink but feel free to mention any color preference(s) on the order form and we'll do our best to match. 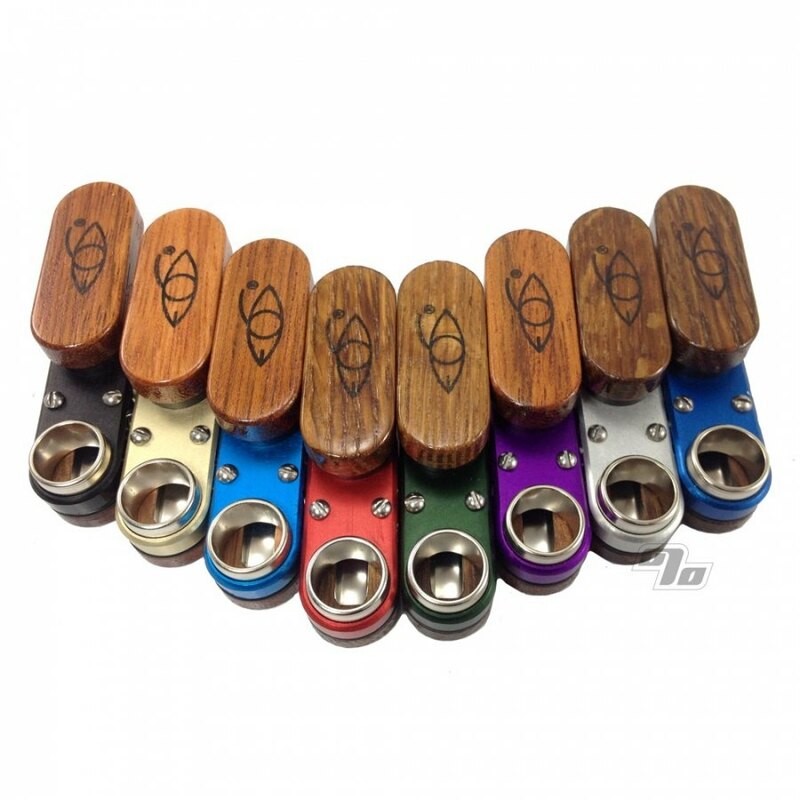 Monkey Pipe colors include Red, Black, Silver, Blue, Green, Purple, Teal and Gold. With the cool swivel closing action, you will never have to worry about spilled tobacco or ashes again. When folded closed, Monkey Pipes are so compact you can carry one in your watch pocket or folded onto a keychain. The bottom of the Monkey Pipe is removable so it's a breeze to clean. Measures 2in long x 1in wide x 0.75in high when closed. 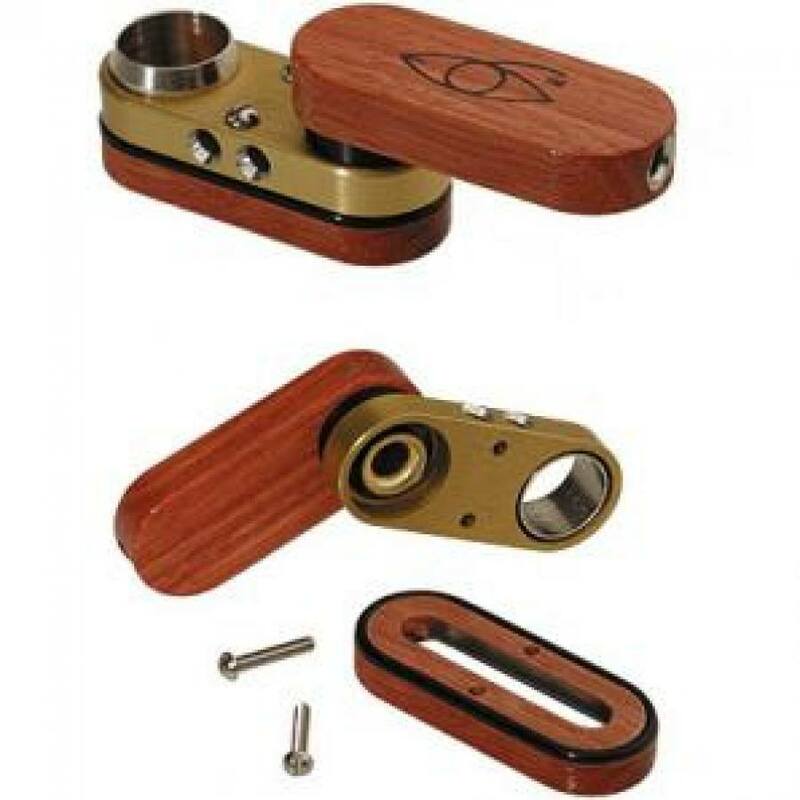 The Monkey Pipe is a patented American made pipe design. 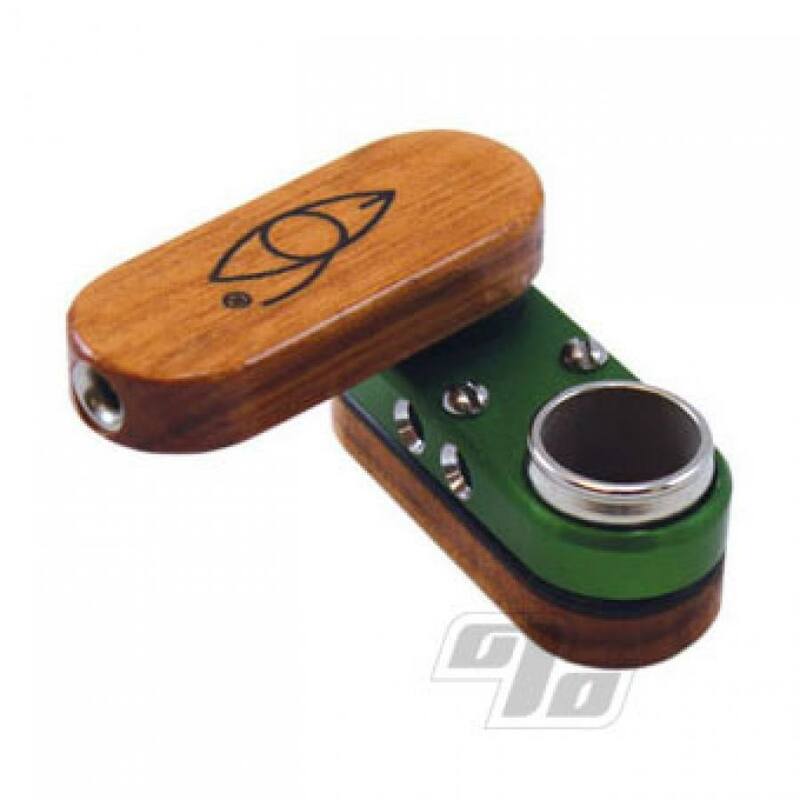 As with many cool designs, watch out for all the cheap Chinese knock offs; most don't have stainless trays, use crap woods and/or may be finished with toxic chemicals; no engraved eye logos on the fakes. Bad news all around so better to just choose the real deal. A little bigger than the Oregon trail monkey pipe, heavier too. Easy to clean hits smooth. I love Monkey Pipes. Discreet and handy, great quality! I love this little pipe. I recommend a small screen in the bowl. It's wooden on the outside and has a metal chamber, so it's super easy to clean. Just unscrew the two screws, separate, clean, and put back together. The swivel mouthpiece works great to put the bowl out, too, but it will become discolored from the heat. Love this pipe . Perfect for the pocket .